Panoramic apartment: 2 rooms, wide stay with read divano, bath with shower, 6 places read, washing machine and tv color. Barbecue. Place car. Panoramic apartment: 3 rooms, wide stay with read divano, 2 baths with shower, 10 places read, washing machine and tv color. Barbecue. Place car. Panoramic apartment: 1 room, stay with angle baking, bath with shower, 4 places read, washing machine and dishwashers, tv color. Barbecue. Place car. Apartment with terraces seen sea: 1 room, stay with angle baking, bath with shower, 4 places read, washing machine and tv color. Barbecue. Place car. Wide monopremises with fireplace, angle baking with dishwashers, wide bath with shower, washing machine and tv color. 2/3 places read. Barbecue. Place car. The central apartment to 50 m from the sea. Room, stay with angle baking, bath with bathtub, tv color, wide seen terrace sea, 4 places read. Apartment to the flat earth, format from 2 rooms, stay with angle baking and bath with bathtub, tv color. 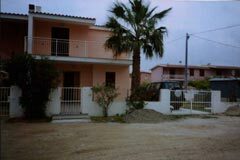 Central, to 50 m from the sea, 6 places read. Apartment with independent garden, place car, barbecue, external shower. 7/8 places read, washing machine and dishwashers, 2 baths with bathtub, tv color. Wide terraces, to 300 m from the sea. Independent apartment with courtyard and external shower. 2 rooms, stay with angle baking, washing machine and dishwashers, air conditioner and tv color, 4 places read, bath with shower, place car. Panoramic apartment: 2 rooms, stay with angle baking, bath with shower, washing machine, dishwashers, tv color, seen terrace sea, 6 places read.